You need eye catching graphics and text to catch your customers' eye and tell them who you are, what you can do for them and how to contact you. We are fully equipped with sign making equipment which, along with state-of-the-art computer-aided tools, produces full color signs, promotional banners, vinyl decals and graphics in any size, color and quantity to meet your needs on-time and on-budget. Please look around our site to see the variety of things we can do to make your business stand out. And please don't hesitate to call or write if you have any questions! From your company logo on your vehicle or business doors and windows, to custom labels on water bottles, our decals and labels can help your business stand out. Fast turn-around on short runs get you going in a hurry! Free EstimateGet your materials Printed today! SignNers custom designs advertising graphic for all your business advertising needs. We design, print, and install vinyl wraps for vans, trucks and fleet vehicles, custom banners, decals and stickers as well as window graphics. We can turn your business car or entire fleet into rolling billboards that will get your company amazing exposure where every vehicles go. Our vinyl wraps are the highest quality vinyl, with hard laminate to ensure durability and long lasting colors. The UV coating protects the vehicle wrap from fading and cracking. 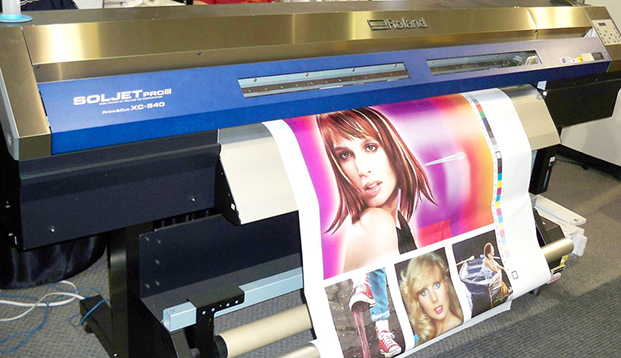 Vinyl banners are multi-purpose advertising tools. Vinyl banners make for great outdoor signage for special events or temporary store locations. Indoors, vinyl banners can guide customers and call attention to specials. Mesh banners are great for outdoor signage. Pop-up banners are great for alerting customers to hidden entrances and are portable for for tradeshows or sporting events. Laminated stickers are a great way to advertise your business. We laminate our stickers and decals so your message will last and last. Full color labels for your products so customers remember you. SignNers began started out in the early days of computerized vinyl cutters. We started with vinyl vehicle lettering and have developed our business from there. Just as in the early days, we still provide truck lettering and graphics. It was over ten years ago that we switched to digital printing. We know how important it is to keep up with technology and we continue to deliver the best product that is state-of the art. We put your business in motion! We are fully equipped with sign making equipment which, along with state-of-the-art computer-aided tools, produces full color signs, banners, decals and graphics in any size, color and quantity to meet your needs on-time and on-budget. Signners had its beginnings in the vehicle lettering business over two decades ago when the first computerized vinyl cutters were developed. Our staff carries that long experience forward to provide you with the best, most effective advertising for your business, whether on your vehicles, storefront, or banners and posters on display! We are fully equipped with sign making equipment which, along with state-of-the-art computer-aided tools, produces full color signs, banners, decals and graphics in any size, color and quantity to meet your needs on-time and on-budget.